"Tyson's reputation is really quite shocking. But the first sign of trouble and his knees are knocking." 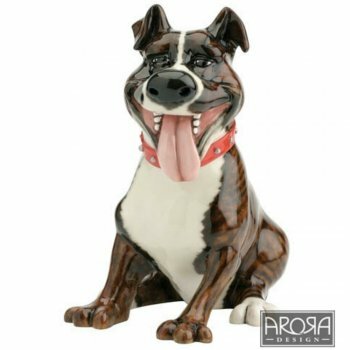 Meet Tyson our ever popular staffie ornament which has been created using ceramistone meaning it can stay inside or outside your home. This would make an ideal present and comes already gift boxed.